Breathe in the pure air and enjoy the tranquil and lush landscape of northern Europe up close as the ship sails through the fjords of Norway. 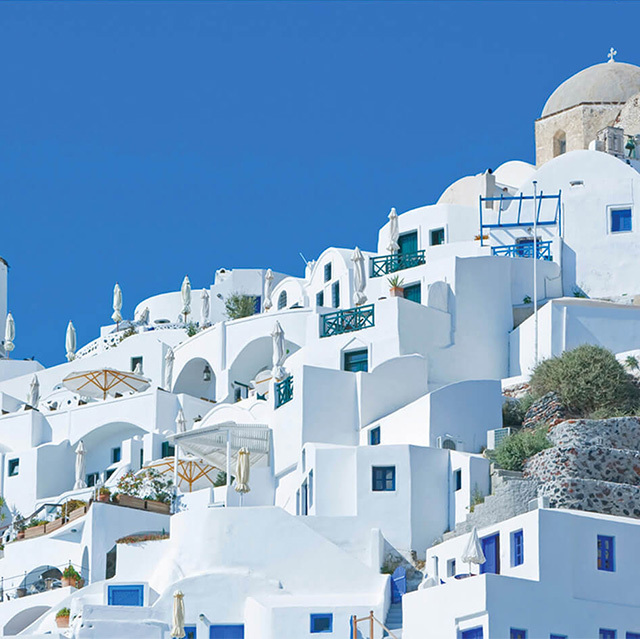 Experience all that Europe has to offer, from the ancient cities of the Mediterranean to the serenity of Scandinavia.Learn about local customs and visit ancient temples as you travel from Asia to Europe, and onward through North and Central America. 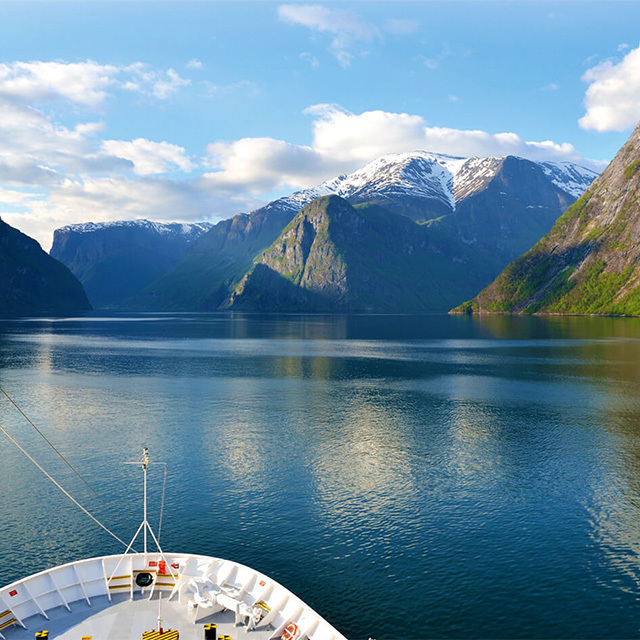 The Norwegian word 'fjord' means inlet, and during this cruise, you will be able to see with your own eyes the impressive scale of Norway's fjords, which were carved out of the earth by glaciers over thousands of years. Visit Sognefjord, which is one of the three largest fjords in the world. Enjoy the stunning scenery of sheer cliff faces and snow tipped mountains from the unique vantage point of a ship. Early summer is the best time of year to visit Europe, with its cool summer breezes and low humidity. Enjoy the long summer days and lush greenery of a continent in bloom. Use this perfect time of year for traveling to take in the breathtaking sights of 14 countries across both Southern and Northern Europe. 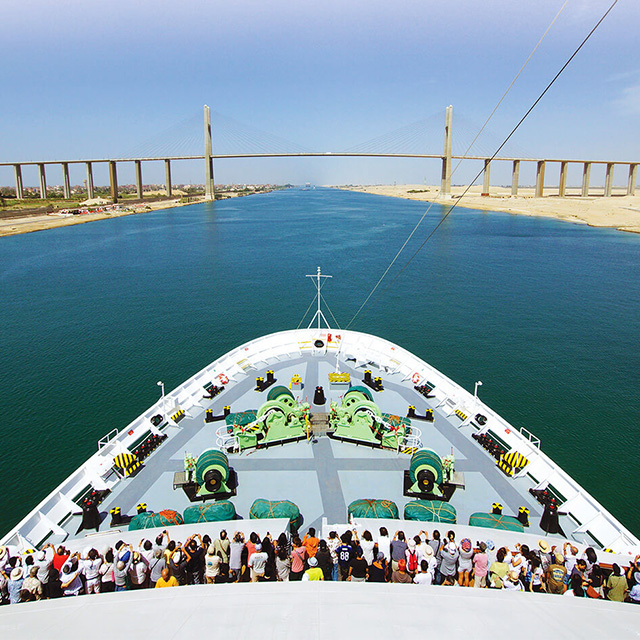 One of the highlights of around the world cruise is passing through the Suez and Panama canals. The Suez canal, which links Europe and Asia, is one of the world's main shipping arteries. 193km long and flanked by the Arabian desert on both sides, it is the world's longest horizontal canal. Then, enjoy the experience of crossing from the Carribean into the Pacific as you traverse the 80km long Panama Canal. Spot Central America's wildlife in the lush jungle the canal cuts through, and enjoy the unique experience of passing through the canals locks. A truly unique experience not to be missed.